After the huge success of Simmba, actor Ranveer Singh is all set to mesmerise us once again with his upcoming film Gully Boy. The movie also features Alia Bhatt and is directed by Zoya Akhtar. Post sharing the posters, the makers have now unveiled a video announcing the date of trailer release. In it, the actor can be seen rapping and telling ‘Asli Hip Hop’ to the world. Ranveer perfectly slips into his character and it is hard to believe that he is the same person who beat goons in Simmba. Alia lets her eyes do all the talking. After Raazi, expectations are high from her. We also got the blink-a-miss appearance of Kalki Koechlin. The trailer of Gully Boy will be out on December 9. The video has skyrocketed our expectations. 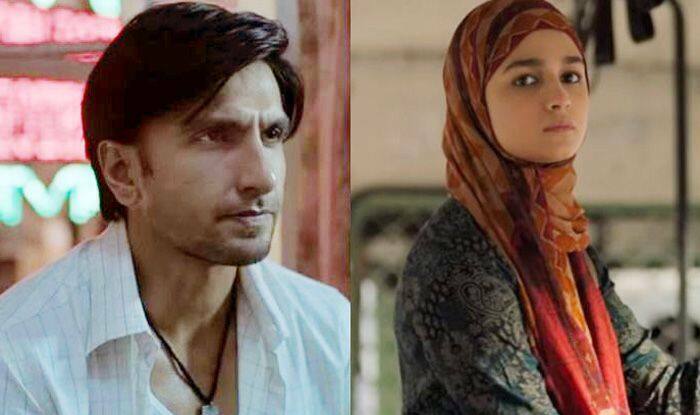 This is the first film in which Alia and Ranveer have been featured together. It is a musical drama, based on real-life rappers Vivian Fernandes aka Divine and Naved Shaikh aka Naezy. Talking about the film, Ranveer told Filmfare, “Rapping has been a side skill ever since school. I include a bit of it even while doing ads. I like to write my own stupid lines and rap them. My sincere thanks to Zoya for being patient with me. She has waited since quite some time to make this film. She pitched it to me during Befikre. Zoya and Reema Katgi, our premium writers, have written such a moving script. What also makes Gully Boy special, is that I’m going to play a full-fledged Mumbaiya character. It’s my tribute to my city”. On a related note, Ranveer’s Simmba has entered the coveted Rs 100 crore club. The movie was directed by Rohit Shetty. Alia will be seen sharing the screen space with actor Ranbir Kapoor in Ayan Mukerji’s Brahmastra.